Vix is a pet snow fox that your children may adopt. Only girls may adopt it. 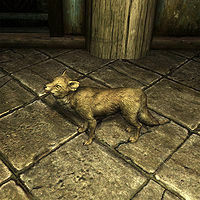 It is much smaller than a normal fox. This page was last modified on 5 June 2014, at 17:54.